If I’m being totally honest, I have found myself insanely distracted over the past couple of months, but particularly the past two weeks. Even though I’m pretty obsessive about getting enough sleep, I’ve been doing a lot of tossing and turning and staring at the ceiling. On Tuesday night, I finally (FINALLY) slept through the whole night and I felt like a new woman. So here’s to hoping that’s the way things are trending!!! And unrelated to all that, I have had an eighth grader “interning” with me this week during her spring break. She’s one of my friends’ students at his school (he’s the headmaster) and each eighth grader has a four-day internship over their spring break. I have been blown away by her maturity, poise, and intelligence. (I honestly keep forgetting that she’s only thirteen!) We have been working on some content so she’s going to do a Blog/Instagram Story takeover next week. Accurate representation of me trying to balance everything in my life right now, haha. I finished Bad Blood (could not put it down) and have been reading anything and everything related to Theranos lately. I wanted to read the book before I listened to the podcast or watched the HBO documentary. The HBO documentary was okay, but didn’t get into ALL of the deceptions that Holmes really committed. I felt like it barely scratched the surface! I’ve heard the podcast is incredible (can’t wait!) and that the 20/20 special (available on Hulu) is better than the HBO documentary. Anyone else obsessed??? I love love love this pleated front sailor skirt from J. Crew. I think it’s so adorable. I have a few skirts with buttons already so, sadly, I don’t need it. But I’m sharing this in case you are looking for something like it! PS All J. Crew full-priced items are 30% right now. If you’re familiar with Emma Chamberlain on Youtube, you have to watch this collab she did with Louis Vuitton and Karlie Kloss. It’s edited just like one of Emma’s videos and the juxtaposition between the two women is hilarious, and somehow works perfectly. Bravo to Louis Vuitton for thinking outside the box. I spent way too much time drooling over everything at Serena and Lily right now. They’re having their spring design event and everything is 20% off, so if there’s something you’ve had your eye on (like the Riviera Collection bar stools that everyone, including me, loves), now’s the time! Have you seen this viral challenge going around? It’s the four generations challenge, where four generations of people come walking into a room saying “mom!” or “dad!” It’s so heartwarming and you can just feel the love radiating through the camera! The whole coffee scene is hilarious! I loved the LV video so much! Always love these posts! Where is your top from? I love Serena and Lily’s stuff so much! I wish we had them here in England! I agree with you about the HBO Theranos documentary – I was so disappointed and felt like there was no depth to it. I felt like they glossed over the extent of her deception and spent waaaaaay too much time on drone shots of the entrance of the Theranos building and video of Elizabeth Holmes walking through the building. It felt weirdly like a “hey, she meant well” vibe and didn’t touch on how much she had to lie and how much money she burned through and how paranoid she and Sunny were and the extent to which they went to cover up the problems. Yes! Obsessed with the non-blinking Elizabeth Holmes!! Please post when/if the podcast comes out!! I’m going to have to read the book now! I’ve been debating about it, but now that you said it’s really good I’ll have to go and get it! I still can’t believe I worked right next to their lab! obsessed with the bad blood podcast – finished it in a day! watching the 20/20 tonight!! Can’t wait to hear the exciting news! And thank you for sharing this sailor skirt, and indulging my skirt obsession aha!! Happy Friday, may you have a great weekend! Love all the Friday favs! Where is your top from? I am obsessed. I would love to know where the top is from, too!!! On behalf of middle/high school students, teachers and parents everywhere, thank you for hosting a student for the week! Finding placements is often stressful and difficult but the experience is so valueable for these young people. For both of my daughters these experiences were invaluable and for one of them it really shaped what she wants to do with her life. I am admittedly not a podcast person but honestly – it doesn’t go into anything that the book didn’t! Carly, you probably recognize my name from following your blog for years and Instagram. I admire all that you do and are and your success! 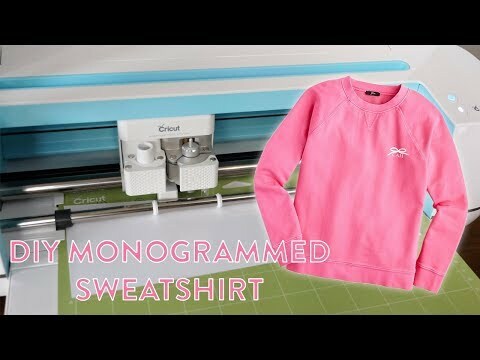 I have been dreaming that you develop and create your own clothing line and monogrammed clothing options(like your sweatshirt). I hope this is reality and true!! I just watched the collab between Karlie Kloss and Emma Chamberlain at Paris Fashion Week – it was hilarious! Be still my heart! The 4 generations challenge melted me! So sweet!